What is the future of the LCMS in the aftermath of the last two decades of worship wars within our church? I’m going to explain why I think that the worship wars might be coming to an end in less than 700 words even though, justly, it should require 700 pages. Despite the continued worship wars within our synod I am fairly optimistic that in another generation these conflicts will subside and we will enjoy peace around a relatively uniform Divine Service. Why do I think this? First, I am convinced that the vast majority of pastors and congregations in the synod do love the liturgy and the theology behind it. We are Lutherans. When we say “grace alone” we mean that God graciously blesses his church through the means of grace alone, not through human efforts or the emotional experiences postulated by American Evangelicalism. For a discussion of the worship theories of American Evangelicalism see my last four blogs. Second, I am convinced that those who love the historic liturgy while at the same time flirting with the worship style of Evangelicalism will slowly come to realize that you can’t have it both ways. I know that I did. These Lutheran pastors and churches will recognize that the worship is receiving the gifts of God offered in the gospel. They will reaffirm that the gospel does not need the embellishment of zippy attention getting pop tunes or well polished bands. We believe that the Gospel is God’s power unto salvation, not merely that it can be God’s power when it has popular music. Most importantly our church will rightly conclude that the historic liturgy is simply the best instrument we have in carrying the gospel to God’s assembled people. Third, I am convinced that our synod is beginning to see American Evangelicalism as a threat to the church. In years past Lutherans, rightly, were suspicious of all things uniquely Roman Catholic because we saw the Roman church as a threat to Christ. We are entering a time in which we will increasingly conclude the same about American Evangelicalism. We will see the damage it has done to us as a synod by the encroaching influence of Reformed theology and without any force or any convention resolutions we will avoid any appearance of Evangelicalism. In short we will reclaim our rich Lutheran heritage. Fourth, I am convinced that in the near future we will be blessed with leadership at the highest levels of the synod which actually attempts to unite our church rather than divide it. What is needed is not a compromise between two different styles but a candid discussion which is intended to bring about the type of worship uniformity which we used to have and desperately need to have. This will mean that some will have to sacrifice things they love while others will have to tolerate things they dislike. The result will be too broad for some and two narrow for others but both for the sake of love will agree. This can happen only if all sides in the worship wars have confidence in leadership which makes uniformity and unity happen. I am convinced that the synod is ready for that leadership. Fifth, I am convinced that the number of pastors and congregations which have discarded the liturgy entirely is really not that large. Surveys indicate that less than 5% of the synod uses no hymnal at all. Of course a huge percentage of the new missions in many district use no hymnal and that is a serious problem that profoundly affects our future peace and unity. But the makeup of the synod is still liturgical in the whole. This small number of congregations would not likely agree to a process which actually attempts to achieve peace through unity and worship uniformity and would most likely leave the church if such a process were to take place. That leaving would be tragic but probably necessary. Walking together is only possible for those willing to place limits on their own freedom. Will all this happen? I actually believe it will. But it will require honest and trusted leadership. But that is the topic of another story. You paint a grim picture of the future. One where everyone gives up something but you! I assume that’s what you mean by leadership. Sad and scary. I dunno — I hear about a lot of churches where they have one traditional service and one contemporary service. You have to include in that “5%” figure the number who use the hymnal at only one service. Seems like a lot of the laity is calling for the non-liturgical services. I’m so frustrated to see people leaving the church that I attend — solidly liturgical — for churches that are flirting with the contemporary services. What drives me crazy is most of the time the 8:00 service is traditional while the 10:30 service is contemporary. Think about it. You have three kids, are you going to get up early enough to go to the 8:00 service? No? I thought so! The traditional service loses JUST because it’s the earlier service that lots of young people don’t want to attend! I’d love to have those churches reverse the order of the services for two months — then determine which service the laity are calling for. Are they committed enough to the non-liturgical service to wake up early for it? I’d like to see them try “contemporary” at early service, too, if they have to have it. Sadly I think Klemet is too optimistic and the hint at the end is sadly the same putting our trust in the princes of the church, I fear. Liturgy is not something to be bartered away it is about confessing the faith. Helen — I’m 100% in your court. Most of the time I attend the service that has communion in it, plus wednesday evening services. In my opinon the laity desperately need education in the treasures that we have in the Lutheran church, so they yearn to be at a liturgical worship in a solidly confessional church. Too many people are hunting for the emotional feeling that you get in these contemporary services, and find that is just fleeing and doesn’t help you through the down times. Those who have abandoned the historic liturgy already gave something up, they just don’t know it, or don’t care. For those congregations to return to authentic, historic Christian worship forms wouldn’t be a loss; it would be a great gain. I agree with Klemet, the future is bright, if not for the LCMS, then for confessing Lutherans. I share Pr. Preus’s hopes but not his optimism, especially in my area. The dangers of generic American Evangelicalism have not yet been marked and avoided. It’s not just the young with kiddies. Some of us old retired codgers who spent most of their lives getting up at 6:00 or earlier to go to their daily drudge really relish the opportunity to “sleep in” on Saturday AND Sunday. Then there’s the ubiquitous “Blended Service”, which has been addressed earlier here. Last I heard, even if you mix arsenic with peach nectar it’ll still kill you. My church does not use the hymnal, but it is mostly liturgical (I wouldn’t describe it as “solidly” liturgical by any means). We sing hymns and have the Kyrie, the Feast of Victory, etc. when we have communion. Just because a church doesn’t use hymnals doesn’t mean they aren’t liturgical. I would like to see my church more liturgical, but I take what I can get (compromise as Pr. Preus espoused). I agree that the future is bright for confessing Lutherans, just not that this will happen for the LCMS as an institution. I think for it to happen a change in jurisdiction (while still remaining Lutheran) will be needed. To leave the LCMS is not necessarily to leave the Church or to leave confessional Lutheranism. I don’t like having to contemplate it but we can’t afford to be LCMS no matter what if it undermines the confession, which marks the genuine church by the Word and Sacraments. The Lord allows us to endure these things because He is watchin over us and preparing us for what is ahead. 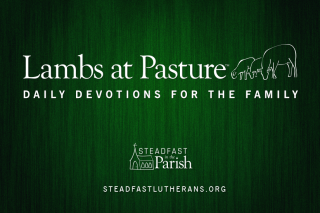 He is ultimately our shepherd, liturgist, reformer, catechetist, bishop, and celebrant. The future is bright for Lutheranism, but not for the LCMS (I agree with Pr. Wilken)- or any other synod that currently exists – that is my two cents. It is really time to start again. Reviving the Synodical Conference is one possible way. LCMS congregations that are saddled with wayward sister congregations need to separate themselves and try to make the push towards Lutheran orthodoxy with synods that could benefit from them. I visit many LCMS churches all over the country. I have yet to find an area that did not have a liturgical LCMS congregation within reasonable driving distance. The churches [and they are by no means a majority] that “allow” blended services seem to be doing so to placate a vocal but small minority in the congregation. The key word here is “allow” because [as a former enthusiast myself] I can tell you that the pastors and the congregations in many of these blended churches are not really into it. I stand by Pr. Preus’ 5% number. That has been my experience. Of course there are congregations that have bought into enthusaism hook, line, and sinker, but they are a tiny minority. Even in cities that are infamous for their “Purpose Driven” LCMS congregations, the liturgical churches usually outnumber the non-liturgical ones. You are more likely to run into a church that still uses TLH than you are to find one that does not use a hymnal at all. Are you bringing a charge against the Evangelical Lutheran Diocese of North America http://ELDoNA.org, or are you just not familiar with it…or are you simply (rightly) recognizing that it is not a â€˜synodâ€™? I know that some LCMS bureaucrats (many Missourians, including those who post here, call those I now reference â€œgood guysâ€) like to discount the diocese because it is small, but one ought to recall that the ELDoNA is about the size that Missouri was when it was foundedâ€¦and has 150 years of Missourian history to guide and warn it. Again, any who really are hung up on the â€˜needâ€™ to keep to the novelty of Waltherian polity could look at the ACLC, instead. Those fellows also have learned a bit about the errors of the various (inaptly named) â€˜synodsâ€™. In short there already are existing options for beleaguered Missourians, if only all would get past the pridefulness (and I am not accusing Mr. Townsend of this, btw) of wanting to be The Founder of something new and would gratefully embrace the work that has already been done. The Synodical Conference cannot be revived: two out of the three bodies that remain are filled with error and strifeâ€¦and the third has been warring with itself, as well. Thanks be to God that it does not need to be revived, because there already are bodies/associations that are faithful to Scripture and the Confessions and that magnify the Gospel through faithful use of the liturgy. FIGHT for Missouriâ€¦but if you can’t win, look to those who have already â€˜invented the wheelâ€™ (such as by returning to a model from the period of Lutheran Orthodoxy), rather than thinking that it’s up to current Missourians to start something. Thank you for your words of encouragement Pastor Preus. I hope you’re right. I don’t mean to change the subject, but I was reading through the Aug 21-22 BOD minutes and something struck me as confusing. Can someone please explain what a “chaplain” is? I’ve always considered “chaplain” to be synonymous with “pastor”, but apparently “chaplain” must be something different. Can someone explain the distinction? This is a sloppy use of language. You have a good point. What it means is that she (I assume) simply had the opening prayer devotion and the closing prayer. It seems innocuous enough but when you add up all the sloppy use of terminology in our synod it begins to make a big difference in how we act and think, e.g. the misuse of “ministry,” “missionary,” etc. Year ago, when I was just a pup, the LC-MS made its mark on the American scene for being the only church body that turned back the liberal Bible doubters and higher critics. Well, and good – soli deo gloria! However, I fear that turning back the ravaging hordes of advocates of contemptible worship, Jesus Firster’s, and the like will not be so easy. My crystal ball does not see it happening. Although I am frequently wrong in regard to many issues, I do not believe I am in this case. Of course, God will preserve His church, of that I am certain, yet in the LC-MS heterodoxy, synergism, evangelicalism and Americanized Lutheranism seem too entrenched for there to be a swing back to confessional Lutheranism. KP: the number of pastors and congregations which have discarded the liturgy entirely is really not that large. Surveys indicate that less than 5% of the synod uses no hymnal at all. This is not an argument for one or the other–but does anyone have the stats? What possible difference could this sort of statistical data make? There are more people attending Roman Catholic services than either “liturgical” or “free form” Lutheran services, and probably even more people watching football on TV than attending church at all. So if numbers are our goal we would really pack them in if we replaced the altar w/ a big screen TV, and mute the volume during the beer commercials to entertain the audience w/ Ablaze ™! 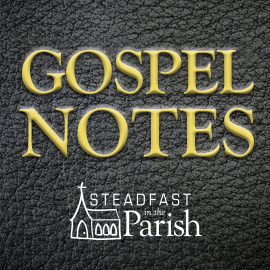 Sermon-ettes, campfire songs and altar calls. Optimism is always encouraging and I am always thankful for those who are willing to express their reasons for feeling so. Regardless of the attitude expressed, however, there are always practical efforts that may be done which can help support the reasons for optimism or if not done point to good reasons for pessimism. Some years ago, I came to understand that the secular philosophical image of the glass being half full or half empty was inappropriate for a Christian. Instead, it seems to mean that for us the glass is being filled. Trusting the Lord of the Church to protect and preserve His Church and the provision He has made for it, we may anticipate His doing whatever is needed to insure what He has designed for us in the church. Recognizing the historical liturgy as a treasure handed down through the ages, it seems to me that the stewards of the mysteries have the responsiblity of helping the laity understand why this is indeed a treasure and how through it we receive the blessings of the Gospel. The tragedy I see through all these worship wars is that there seem to be few pastors who provide regular, clear and consistent teaching and education to their parishioners on how we received the historical liturgy, it purposes, the reasons for its preservation and how to recognize deficiencies in a “worship service” which deviates from the historical liturgy. As a layman, I would prefer to see less discussion of how the worship wars are going but rather more discussion on the development of educational material which can help us (the laity) in areas where the pastorate have not recognized their responsibilities for this. There are actually a number of good sources out there when it comes to the aspects of the liturgy and where it comes from. Four CPH ones (yes, really!) that I would recommend are: 1. Lutheran Worship: History and Practice (a little heavy but good information). 2. Gathered Guests (just reprinted and now in a soft-back cover.). 3. With Angels & Archangels (a book that is directed at junior high, but a good read for anyone wanting to know more). 4. Finally, Worship, Cultus & Gottesdienst (a compilation of all of the references to worship & the Divine Service in the Confessions). These are all great resources for anyone who wants to know more about the liturgy and why we worship the way that we do. I hope you’re able to pick them up. These are all great resources for anyone who wants to know more about the liturgy and why we worship the way that we do. I hope youâ€™re able to pick them up. Of course, there’s also the linkage of teaching doctrine in the context of seeing how the liturgy reaffirms the chief articles to us on a continuing basis. Such a thing may be found at http://Grabauski.com. Thanks so much the information you provided. I’m taking steps to get these. Query: How many pages is the downloadable manual [“Gottesdienst: Godâ€™s Grace in Liturgy and Life”, by Rev. Stefanski] from Grabauski.com — and is it now available in published hard copy form? I don’t like to use internet orders if I can avoid it. How can I order this via snail-mail? On a note related to my earlier comment. It’s great to see so many resources available. Nevertheless, why is there no greater concerted effort among pastors to instruct their congregations using this material? I’m sure there are some who do so; however, I’ve been a Lutheran for many years and have had exposure to churches in various parts of the country — in a number of different Districts — and have to say that finding pastors who spend any time instructing their parishioners in this area and helping them to realize how precious a gift the historical liturgy is to them is a rare thing indeed. I pray that there will be a movement within the Brothers of St. John the Steadfast to alter this circumstance. If the people only knew how precious and wonderful this is, they would not be so quick to “swallow” a substitute. It’s as if we are complaining that our yard is full of rocks and wishing we could get rid of them — only to be told by someone with more knowledge and insight that those rocks we are kicking to the curb are actually diamonds and nuggets of gold. Thanks again for your kind help. May God continue to bless your faithful effort to be good stewards of the treasures He has given to His Church. Query: How many pages is the downloadable manual [“Gottesdienst: Godâ€™s Grace in Liturgy and Life”, by Rev. Stefanski] from Grabauski.com â€” and is it now available in published hard copy form? I donâ€™t like to use internet orders if I can avoid it. How can I order this via snail-mail? It’s currently 138 pagesâ€”28 pages of which is a three part review, covering the questions at the end of each chapter, the citations of the Confessions from each chapter, and the liturgical questions found in each chapter. It may end up a little longer in the second edition, as we will seek to incorporate some suggestions made by the Wyoming District Worship Committee in their review of the book, update some page numbers to reflect more recently-published editions of synodical ‘explanations’ of the Small Catechism (and LSB), and possibly add a chapter or two specifically on hymnody. Those who get a license to use the first edition will be able to upgrade to the second edition for free. I don’t currently print and send copies (where I live, a special trip to the post office runs about $6.00 for gas…), but you don’t have to pay online to download itâ€¦a check would be fine. If there is a real need to have them printed, I will set it up at LuLu.com…but it would cost an extra $8.00 per copy. but you donâ€™t have to pay online to download itâ€¦a check would be fine. BTW, if you choose this option, email me at (grabauski) (at) (gmail) (dot) (com), and I’ll send you the link to download it right away, rather than your having to wait until I get your check. My pastor sets aside one Sunday annually to use the narraitve liturgy, which explains historically, theologically, and scripturally each part of the liturgy as we come upon it. It’s very helpful and it does confront those who’d have us celebrate otherwise, right there in the Divine Service. What is the “narrative liturgy?” I’s there a way to find a copy of this somewhere. We (my husband and I) met in church, when we got a new pastor who wanted to blend the services we resisted, but because we liked the “tradition” better. We moved not too long after that (military). At our new base we met a chaplain/LCMS Pastor who was available on Sundays b/c of his assignment and we ended up worshiping with him for much of the three years we were there. He took the time to educate us about why it was we should prefer the historical liturgy, from scripture. Then we moved again and were blessed with meeting a layman well versed in scripture, we were attending a military “Lutheran” service led by ELCA pastors and our friend (Hi Matt good to see you on here) patiently helped us learn even more about our faith as Lutheran Christians. We moved again and found a sort of faithful church (they didn’t blend services and the pastor is confessional but he sometimes would let others speak up who weren’t and would not correct them). But from the teaching we had received we were able to teach another friend about the importance of scripture and the importance of teaching their children early the catechism and scripture. It has to come back to the individual. We have to teach our children, and our pastors have to teach us. If we’re not hearing Christ crucified for the forgiveness of sins in church we find another one. We have managed to find faithful churches in many areas but at the same time we’ve watched the congregation where we met become more and more wed to contemporary worship at the expense of the members. I’m not sure I think the LC-MS specifically can return to her historical, scriptural roots, but I agree that there is certainly a bright future for confessional Lutherans out there and it starts with learning for ourselves the catechism, teaching it to our children early and often, sharing all that with those we touch in our vocations, and supporting those pastors who are standing firm. After a rough year or so, there’s a great Lutheran pastor in Anchorage, and his congregation seems pleased and even excited to have him (so anytime you folks want to move up here just let Mary and me know.) Still, during the rough patch it slowly dawned on me that although worship style is the obvious difference between the Confessionals and the SchwÃ¤rmeri, neo-evangelical style is more of a symptom than the disease. Like us, these folks worship in a way that is fully consistent with their view of the Gospel, but that view of the Gospel is radically different from what the Scriptures and Confessions present. For the neo-evangelicals in our midst the Gospel is just “an offer” of salvation, not “the proclamation” of salvation, and that makes all the difference. Weâ€™ll never get past the stylistic differences without confronting the theological ones. Thanks for the (too) kind words. Pass on my greetings to John and the boys. I like the basics, but are there any comments from those more knowledgable than I? Please open your eyes. You miss the point. It is not about “comtemporary” worship style. I think of the hours I spent in an LCMS pew as a child going through page 5 and 22 week after week and never getting anything from it. If confirmation hadn’t been programmed by the synod to get you in the rolls before you were old enough to have the backbone to ask the tough questions I never would have taken the pledge. If you have so much faith in your liturgy then stop youth confirmation until after the age of sixteen. See how many teenagers drive themselves to your confirmation classes because of the inspiration they receive from mindlessly chanting the Kyrie every week. There isn’t one story in the bible that tells of Jesus requiring those gathered to hear his words to recite some ancient words. Instead he spoke to them simply, in ways that were easily understood. Sadly for the corporate church, of which you all seem so desperate to fight control over, Jesus was very clear that when only just two people are gathered in his name he is there and though Him the Father. He doesn’t require anyone to chant the Kyrie! Please open your eyes, the 3rd century church created creed and ceremony to control power and wealth. All of the derivatives since then have failed to shed these tempting shackles, even those in what you would call the “American Lutheranism” sect. I suggest we all get back to basics or we’ll have a lot to answer for on judgement day. You have done what many of us do. You have taken a Bible passage out of its context and tried to make it say what you want it to say. This is not a good practice. It is hard for me to heed your plea to “open my eyes” when your eyes are blind to what the Scriptures say. Thanks for your response. I don’t profess to be a biblical scholar and appreciate the critique of those more learned than myself. Your feedback is truly appreciated. Let me explain the basis of my interpretation. It starts back in Matthew 16 where Jesus states, “on this rock I will build my church” I do not draw from this that Jesus is literally talking about Peter. I know this is a long standing tradition of the church particularly the Roman Catholics so dependant upon the theory of apostolic succession. I think instead Jesus was referring to the church as people that profess Jesus as the Son of God using the profession that Peter had just done as the example. So when I get chapter 18 v20 I think Jesus is referring to those that “profess Jesus as the Son of God”. As for the context of v19-20, I don’t see the linkage to v15-17. To the one question asked of Jesus at the start of the chapter, Jesus offers many thoughts that stand on their own. I see v19-20 as one of those standalone thoughts. Please don’t take my plea to “open your eyes” as an attack. It is a sincere plea of one who grew up in the then very conservative Michigan district and who fears that the faith potential of another generation will be compromised if all they are exposed to is the equivalent of page 5 & 22. May we all be blessed by sincere and civil discussion. He doesnâ€™t require anyone to chant the Kyrie! No, indeed; they required it of themselves because they saw their miserable condition; in blindness and in leprosy they cried off to him whenever they thought He would hear. Today, such need is no longer feltâ€”it still is there, we’re just calloused and don’t feel itâ€”so we resent someone telling us that we should cry out for what we don’t feel that we need. Such a statement is not one of liturgical legalism, but of having one’s eyes opened to one’s real needs and to the provision for them in God’s Word and how that Word is brought to bear again and again in the Divine Service. BTW: yes, all of our teenagers here do faithfully drive themselves to church every Sunday. Of course, we taught them not to “mindlessly” chant anything. BTW2: The creeds were formed because having the wrong Jesus takes one to Hell. Your transgression of the Eighth Commandment against those saints of God who sought to keep people from going to Hell for believing in a fake Jesus is appalling. You really should try to get your facts straight. Well so much for sincere and civil discussion. My fault, in re-reading my original note I see I put a few emotionally charged phrases into it that led it to be misinterpreted. I respect your desire to be true the one true God. I wish you all well in those efforts and that many are saved as a result! Thank you, Rev. Stefanski, for quoting my pastor. He’s probably quoting someone else, but he uses them consistently. I love those two lines. I treasure them. I wish they were shouted from the rooftops of Lutherandom. No two sentences could ever produce, I don’t think, a more succinct defense and justification of liturgy, especially to people who really ought to know better already. Bizarre. You start out uncivil and when you’re contradicted you make accusations of misinterpretation and act like others have been uncivil towards you. Now, I’ll have to be less civil: you are speaking from your emotions and don’t have an actual clue what the facts are or what the reasons behind things are and you don’t really seem to care, either. I urge you to learn what it is that you are condemning, to see why it is that so many who didn’t have the privilege of â€˜mindlessly chantingâ€™ when they grew up have so fervently embraced it now that they have escaped the false teaching and practice of (pseudo-)Evangelicalism, and to consider that your problem with the liturgy stems from your rejection of it as a child who didn’t have a clue what it was about (regardless of whether your pastor didn’t teach it or you simply refused to listen), rather than some defect in the â€˜systemâ€™ of pastor and people of God singing God’s Word back and forth to each other. Thank you for listening to your pastor. I had the privilege of sitting next to him in Dr. Buls class on the Gospel According to St. Luke in 1985 and have always been impressed by his diligence in the study of God’s Word. You’ve got one of the finest and I’m glad both that you have him and that he has you. There have been times I’ve mindlessly (often still do) gone through the worship liturgy. I craved something else. I was in college in the 70’s when the folk services were the rage. I loved them! For a few months, then I yearned for the liturgy. I attended a church in a metro area. 3 services. 8 – traditional, 9:30 contempory (also Sunday School so kids went to Sunday School and adults worshipped.) 11 was blended. We moved back to a very conservative district. We are required to use the LSB. At first I whined, but now I know how rich and beautiful the liturgy is. I do wish our pastors would explain the order of service better. I think if we were all educated in it, (5th Sunday of the month?) we’d appreciate all the gifts God grants us through our liturgy. BTW the liturgical responses are engraved on my heart and mind and have helped me comfort my sister who is dying of cancer and doubts these promsises are hers. Because the liturgy is overwhelmingly Biblical, I can recall these verses and add to her comfort and the promise of her salvation through Jesus Christ her Lord. Holistically unify visionary method	adjustments.